Whether you just started dating someone, already married or in a committed relationship. Bonding is a great way to build a better foundation for your relationship. Having money issues like myself you will probably want to do a free and cheaper alternative other than ‘NETFLIX’. What is your idea of a romantic evening? 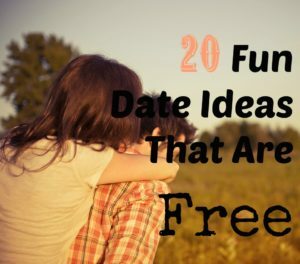 Well, let’s see about the most fun, romantic and adorable ideas for date nights on a budget. The way to man’s heart is his stomach, ain’t that right? You don’t even have to go to the supermarket. Use whatever you have in both of your kitchens. Try planning separate menus and compete for who has the best dish. Try to make it unusual and cook things you haven’t done before. It makes it much more fun especially if none of you can cook. I love the beach. Beaches are a great romantic spot to chat, relax and make out. You can opt to play some fun beach games or even surfing, if you know how. Living in certain areas my hinder this, so you probably won’t have that choice. You can try other great options like the lakes and rivers. If you don’t have a bike you can rent one. Find the nearest bike shop and get on riding around town. If you choose to rent one in the city, more likely you will have a limit to the amount of time and distance on the bike. Some Museums and Zoos have a free pass day some may have discounted price on a particular day. Check to see which days your local zoo havery their feebies, and make the best of it. Hiking is a great way to exercise and clear the mind. You can find a hiking trail that’s convenient to you, pack some bottles of water and snacks and head out. It’s preferably to do this in the early morning so you can see the beautiful morning sun rise. Cards of Humanity, Truth or Dare, Monopoly or Bingo are some great game ideas for a fun date night. Unless, you wanted something more steamy and romantic then that’s on a different level. Take a drive out to see new places and visiting landmarks. Try a different state or town that’s close to you. I’m sure there are many free site-seeing areas. If you don’t already have a project you’ve been putting off forever, you can design awesome D.I.Y project that you can do with the resources at home. If not, maybe a trip to the dollar store will help. Ideas could include Pillow Making, Making Picture Frames, or Painting, etc. whatever floats your boat. Yes! Steamy, this is the cheapest way for a spa treatment. What better way to enjoy a nice back rub? 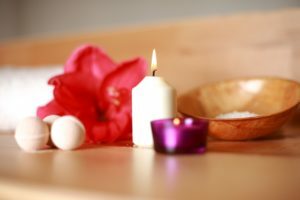 In your own privacy of your home on your bed with candle lights and the oils or lotions to rub down each other’s smooth skin. How romantic. We all know about these boring scavenger hunts where you hunt for dumb things. 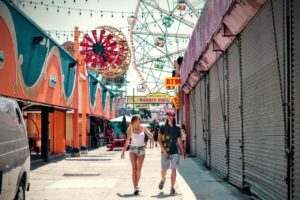 However, you and your partner could create your own scavenger hunt and explore the city. How exciting lol Just browsing through the mall holding hands and looking at stuff you wish you could have. Sounds pathetic, but it can actually be fun, depending on how fun you are. Having a Picnic can be so much fun. Make your own food to bring, like chicken, sandwiches, chips and of course wine 🙂 . You can also play with your pets, fly a kite, play some sports or frisbee. Yum! This can be free and this can be just at a low-cost. Use what you have at home or head to your local grocery store to find desert really! really! Cheap. Head to your local park and have coffee and desert date, if not try the coffee shop. Check your local listing, and you will find tons of upcoming free events such as concerts, conferences/conventions and cook outs. I like volunteering. It’s a great way to give back to your community. Why not do volunteer work with your partner. If you love dogs, you can do so at an animal shelter. You also can join a beach cleanup program or feed the homeless program. 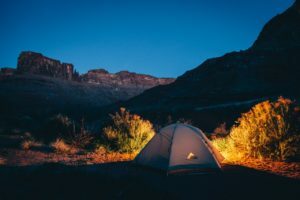 Camping on a campground may cost you. You might need gas, food, camping gears, payment for camping fees and the possibility of getting eaten by a bear and chewed alive by mosquitos. But who says you have to leave your house to camp, heck you can do that in your own back yard. Unless you live somewhere in New York, or LA then hell no. But on a serious note, fix up a tent, make a bonfire and roast up some marshmallow. I like the idea of camping it’s a great way to bond. 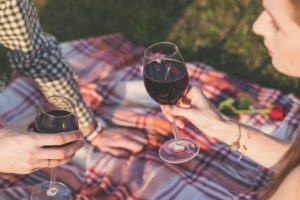 Find a nice scenic spot that is available in the night and bring your blanket a bottle of wine and make out underneath the stars. If you want to do more you can have dinner underneath the stars. How romantic is that? If you have a console that would be great. You can spend the night playing a list of video games you enjoy by competing with each other. You can dress up in your swim wears, get some drinks and pool side snack and play water war with squirting guns in your own backyard or even at a public pool. If you have your own pool at home that is even better. Do you like the game ‘pool’? Then you have a date. If your partner doesn’t know how to play pool its even more fun teaching them. There are other options as well to play sporting games on a nice sunny day. Let us know your favorite date ideas. We would love to hear.